A new real-time transit arrival time sign appeared at the Embarcadero Station recently. At last, you can find out when the train is arriving before you enter the fare gates! 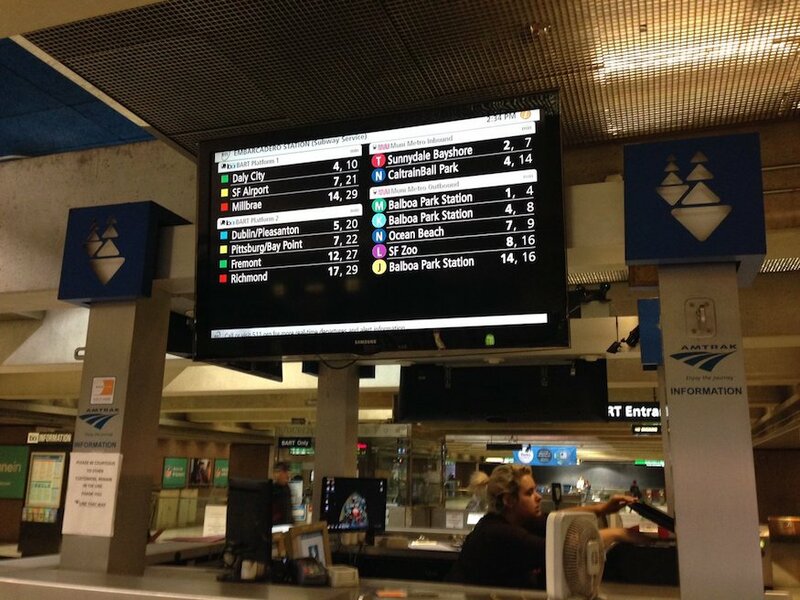 The screens are a part of the Metropolitan Transportation Commission (MTC)’s Hub Signage Program, announced in 2011. Thanks to @SF_Transit_News for the tip. It’s nice, but it reminds me of an airport display.